DIMENSIONS: 12.6" from Ceiling to Bottom of Light (with 4" Downrod Included); Weight 21.38 lbs. 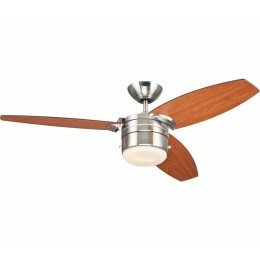 Add a touch of modern sophistication to any room with the Lavada ceiling fan. 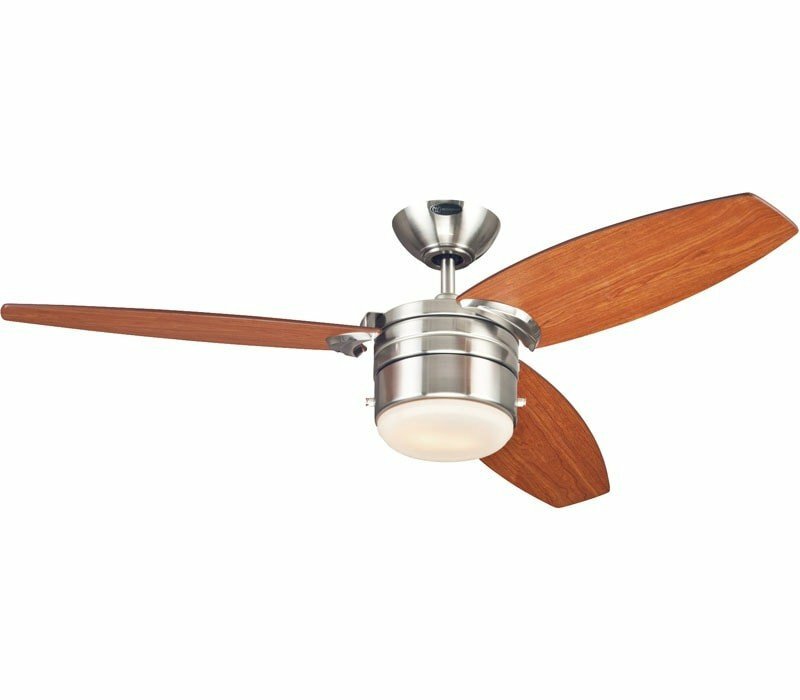 Featuring a sleek brushed nickel finish, dark cherry/applewood reversible plywood blades, and an integrated opal frosted glass light fixture, this fan offers a clean, elegant aesthetic. As capable as it is attractive, the Lavada relies on a silicon steel motor with triple capacitor to provide robust, quiet circulation. Three fan speeds and a reversible switch help keep you comfortable year-round. In warm weather, run the fan counterclockwise to stay cool. In cold weather, run it clockwise to recirculate warm air from the ceiling, eliminating cold spots and drafts.